What did the Romans know about their gods? Why did they perform the rituals of their religion, and what motivated them to change those rituals? To these questions Clifford Ando proposes simple answers: In contrast to ancient Christians, who had faith, Romans had knowledge, and their knowledge was empirical in orientation. In other words, the Romans acquired knowledge of the gods through observation of the world, and their rituals were maintained or modified in light of what they learned. 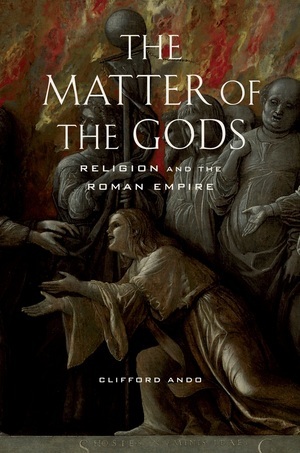 After a preface and opening chapters that lay out this argument about knowledge and place it in context, The Matter of the Gods pursues a variety of themes essential to the study of religion in history. Clifford Ando is Professor of Classics, History and the College at the University of Chicago and author of Imperial Ideology and Provincial Loyalty in the Roman Empire (UC Press), winner of the Charles J. Goodwin Award of Merit from the American Philological Association, among other books.